Renault a powerhouse on its own has come up with some really great cars. Though we believe in the saying live life kingsize, it does not need to be applied always especially in the selection of cars. It’s all on what we require and what suits best for us. Renault has come up with some big, some small and yet some trendy sports car. Let’s have a look at each of them to see what’s so special about these cars. What’s there in the Renault Family collection 2012? A warm welcoming original Fuschia and Bermuda Blue bring back the zing in your life. With great versatility and quality inside and outside this bubbly car is all fun to drive with great features especially for long drives. The 1.2 TCe 100hp engine delivers driving enjoyment with very less fuel consumption. 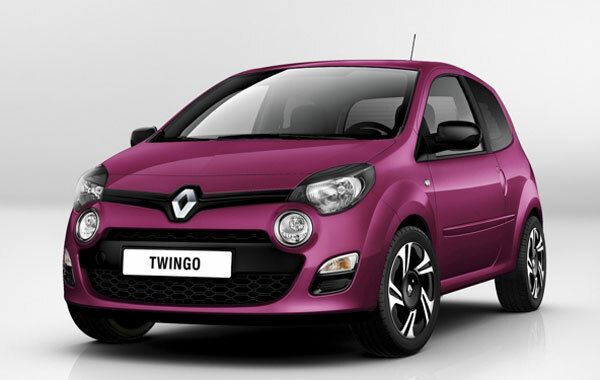 Twingo does boast of Euro5 diesel engine and the petrol engine, and sure does give good performance. Loaded with all the latest technology including Bluetooth connectivity, great audio system with USB connectivity as well and a good navigation system. The electrically operated sunroof is optional. The small wonder with just 3.60 lengths is easy to park and a pure delight to drive. A family outing or a business trip or a car full of load, the Scenic 2012 will not disappoint you. You are in a comfort zone with ample space, legroom and headroom. With technology loaded Carminat TOM TOM live in a 5.8” screen, keep pace with speed limit, Google search as well as local, weather forecast, safety screen. All these with great alloy wheels, and a much loud Boss sound system. The energetic all new 1.5 dCi stop and start engine the 1.2 TCe 115 petrol model and the entry level 1.6 VVT 110 model engine gives you a strong acceleration and great flexibility with benefit from a host of eco-technologies such as ‘Stop and Start’, effective and regenerative braking, less Carbon emission and great fuel economy by reduced fuel consumption. The benefit of a family car in an electric model has really been a welcome simply because of its fuel efficiency and promise of low entry price. The feel that you are driving an electric car will never come while driving a Fluenze. Equipped with standard swappable battery, 16 inch alloy wheels, automatic dual zone climate control system, navigation system, Bluetooth connectivity, cruise control, and rear parking sensors. With absolute comfort, refined and easy the Renault spins a cool 11000rpm delivering 70kw of power and 220nm of torque, almost 100 miles per range. 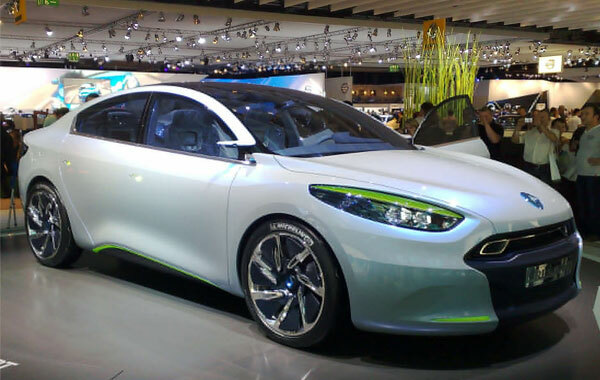 Renault hopes that this shining armour will be the hottest and best selling electric car in 2012. 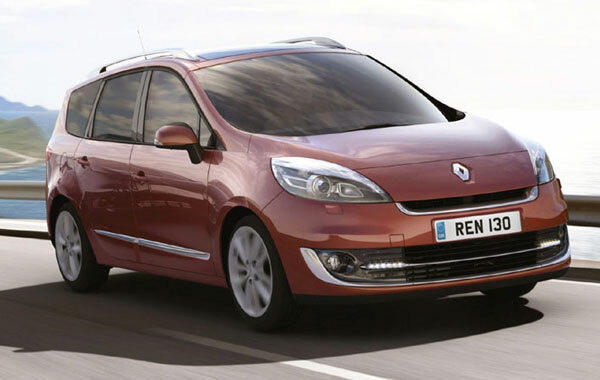 The Megane collection 2012 is available in the Coupe, Hatchback, Sports Tourer and the Renaultsports 265 model. The Meagan hatchback was always of many but with the sport 265 model an extra boost of 14bhp power which means a 261 hp and 15lb ft of torque it gets better. The Megane range gets 3 all new engine including a petrol engine and two diesel engines. The features of Start and stop are there in all. Styling and decor have changed including the LED lights. 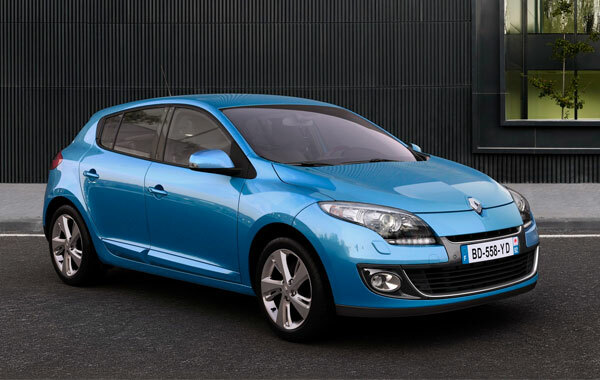 With 2 new colours of Majorelle Blue and Pearlescent White, the Renault Megane has lot of promises with this range. If you are interested in buying a cheaper Renault or you are looking for another model such as the Koleos then make sure you have a look on a second hand website such as motors.co.uk, there are so many cheap deals available all over the UK. To sum it up the collection 2012 from Renault with its all new Twingo, Scenic, Fluence Z.E, Megane is actually giving buyers a wide range of pick to suit their requirement. With the launch of its new collection, they are definitely trying to improve the performance and increase the sale of these cars. Drive the change, Drive a Renault.